Home / Editor's Choice, Entertainment News, Forum and discussion, Lifestyle / Fractured skull! Doctors at MTRH reveal the state of the monster who hacked IVY WANGECI to death. Fractured skull! Doctors at MTRH reveal the state of the monster who hacked IVY WANGECI to death. 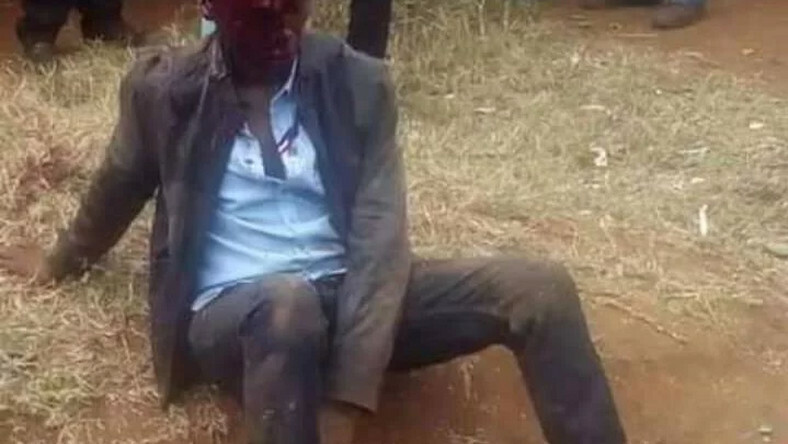 Wednesday, April 10, 2019- Naftal Kinuthia, the monster who hacked Ivy Wangeci, a sixth year medical student at Moi University to death, on Tuesday, is currently recuperating at Moi Teaching and Referral Hospital. Kinuthia was nearly lynched by irate mob who pounced on him after he committed the heinous act before he was rescued by police officers. According to Dr. Wilson Arwasa, Moi Teaching and Referral Hospital CEO, the suspect suffered a fractured skull. His parents are said to have visited him on Wednesday morning alongside detectives from the Directorate of Criminal Investigations office, who are camping in the facility in readiness to interrogate him over the incident that has shocked the country. Meanwhile, a car believed to have been used by the assailant, a CV Honda with Reg. No. KCB 836P has also been seized by the detectives. On Tuesday, students barricaded roads in Eldoret bringing businesses to a standstill as they protested the killing of their colleague. So far, the motive behind the macabre murder is yet to be established.